Shoulder pain can occur for several reasons including tendonitis, bursitis, injury, instability, and arthritis. 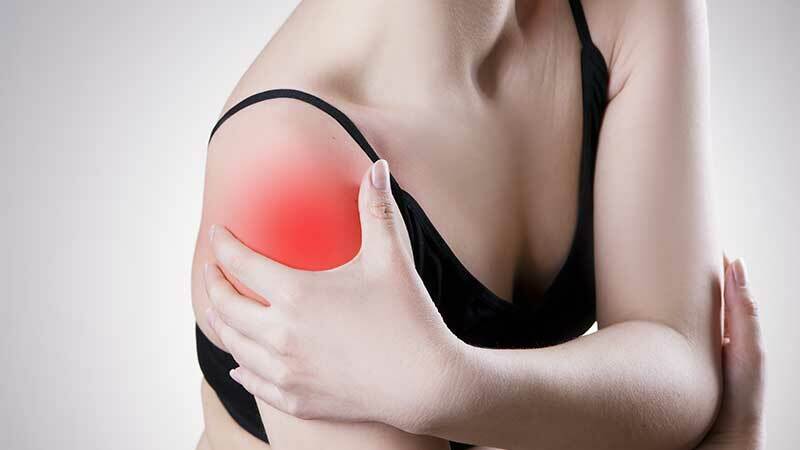 Pain may also arise as a result of frozen shoulder or issues with the rotator cuff. Pretty much anything from a car accident to a chronic condition can cause shoulder pain. Symptoms of shoulder injuries may produce chronic pain, acute pain, twinges or aches, and decreased function of the arm. Overuse and different types of injuries can also have a great impact on shoulder pain. However, the chiropractors at Ahnen Chiropractic in Mesa can have a tremendous impact on the level of pain a person can experience. Our goal with chiropractic care is to help people with shoulder pain find an alternative solution so they can avoid pain medications and an evasive procedure. Before a chiropractic adjustment, our doctors will examine the neck area to check for any abnormalities or subluxations in the cervical spine that could be causing shoulder pain. To learn more about how chiropractic care can help you find pain relief for shoulder pain, call Ahnen Chiropractic in Mesa at (480) 999-9050 to schedule an appointment today. The first step to shoulder pain relief is to schedule a free consultation in our Mesa office to discuss the specifics of your condition. Schedule an appointment at Ahnen Chiropractic in Mesa today! Don't live with the pain any longer. Schedule a free consultation today with Dr. Manfred Ahnen, DC at Ahnen Chiropractic in Mesa to see how chiropractic care can help you with pain relief.